This is what happens when you give an inch to developers in this state. In 2007, a condominium termination law was passed with the intent on helping developers salvage hurricane-ravaged property, since they claimed they couldn't always locate all of the owners after a storm. So our legislators passed a law that said a developer can terminate the condominium if they own 80% of the property unless 10% of the people object. If they own 90%, however, they can do whatever they want. There is no language in the law saying the property needs to be hit by a storm for this to happen. Here's the deal: developers realize that in today's market in Florida, they can make a lot more money by converting condominiums into rental property. 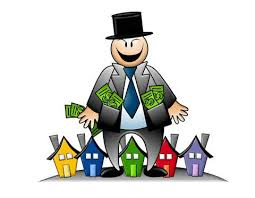 The problem is they sold expensive condominiums which are legally owned by the buyer. However, with the 2007 law, as long as they have 10% or less of the units sold, they can throw them out and only have to pay "current market value". In other words, if you bought a condo at the prices they were going for in say, 2005 or 2006 (before the bust--and before the law passed), the developers get to keep everything you've given them and only pay you literally pennies on the dollar. Developers are currently doing this to 216 properties in Florida, affecting more than 20,000 units. Thousands of people are being kicked out onto the street and forced to declare bankruptcy. This is happening to several properties in my own Seminole county. In Lansbrook Village, a retired cop and school teacher paid $240,000 for their condo, which required $160,00 up front. The developer is kicking them out and only has to pay them $80,000 for today's current value. So not only did the developer get 160K, but has been getting 1.5K each month for decade for a property the couple thought they owned. Another victim, Shirley Lofgren, 85, paid $217,000 in 2007 at complex ironically named Serenity. She will be getting 46K, losing a lifetime of savings. Stephanie Kraswoski, who is being thrown out of yet another complex, said she'll be 100K in the hole once her complex is terminated. "There are no agencies in the state of Florida that are regulating what these bulk buyers or investors are doing. They're literally coming in here, doing whatever they feel they can do, and getting away with it. There's nobody helping us." This is only, of course, happening in Florida. Few in the media are covering this issue. One outlet has been Al Jazeera. When the Al Jazeera called the Miami law firm who sent out the notices to one property, she was told that it is all legal (which it is). The reporter responded by asking if it was moral. The response: "there's no question of morality in business."